Dance Hour with Athma Laya, the brainchild of Bharatanatyam dancer Mala Bharath, stands by the belief that it is never too late to start something new. Having danced from when she was four, Bharath, in her 40s, understands the profound effect dance can have on a person. a�?From learning mythology to understanding music and dance, or even getting a good workout, dance brings out positive emotions,a�? says Bharath, who founded Athma Laya, the dance school, to encourage women to follow their passion. 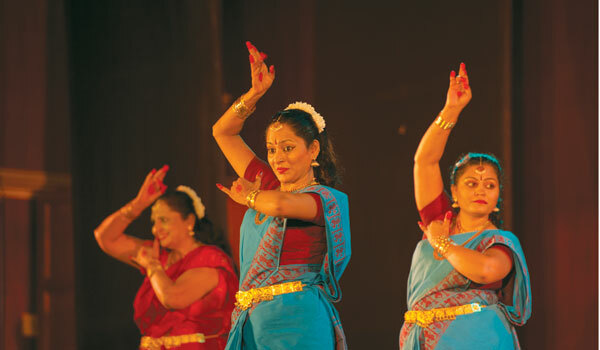 Dance Hour is a weekly sessiona��conducted at different centres across the city, like Adyar, Anna Nagar, Mylapore and Velacherya��that is open to women of all age groups. It uses Bharatanatyam as the base and incorporates simple steps and meditation techniques. a�?Not all women are fortunate enough to continue dancing once they begin working or start a family. This is an effort to help them help themselves. There is no better form of therapy. We have a three-part programme: dance steps to bring out physical flexibility and body-mind coordination, expressions to bring out positivity and various techniques of meditation,a�? she says. This Sunday, over 90 womena��who participated in these sessions over the last yeara��will get together to perform at Athma Layaa��s Dance Nite. A cause for celebration, indeed.